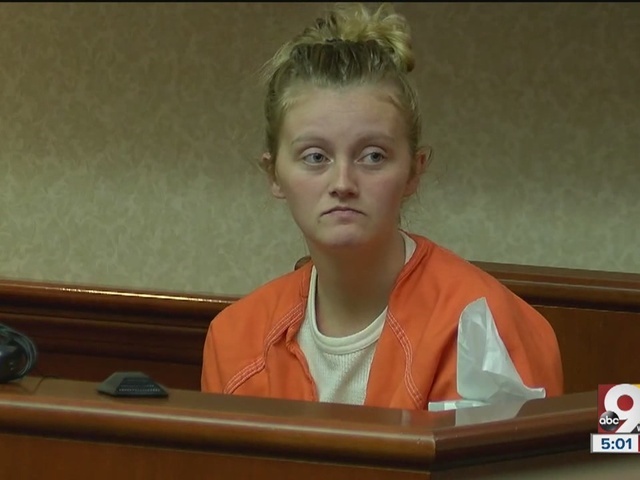 BUTLER COUNTY, Ohio -- The court declared Rebekah Kinner incompetent to testify Friday in the murder trial of her former boyfriend. Judge Keith Spaeth declared Kinner incompetent after she had trouble understanding and responding to questions in her testimony Thursday. The defense argued Kinner may have been intoxicated by her medications Thursday when she was on the stand. Her testimony will no longer be used in the trial. "She readily admits she has trouble responding to truthfully to questions," Spaeth said. On the stand Thursday, Kinner accused her former boyfriend Bradley Young of a pattern of excessive discipline and abuse that prosecutors said led to her 2-year-old daughter's death. Kinner also told Young’s defense attorney, Frank Schiavone III, that she took Lamictal for bipolar disorder. But when the judge asked her Friday what prescriptions she takes, she said she was on a drug called Lamictal, but she didn’t know why she took it. KINNER: "I know the Lamictal is for bipolar disorder, but I don't know exactly why they prescribed it to me." SCHIAVONE III: “When the judge asked you that you said you didn't know. Now, if you really don't remember your testimony yesterday please tell the judge. She also testified Friday that she felt stress and often said what she thought people wanted to hear. Kinner, serving a 12-year sentence in the death of her daughter, Kinsley, was let out of prison to testify Thursday in Bradley Young's murder trial. She has already agreed to a plea deal for Kinsley's death. Kinsley died Dec. 2 from a brain injury caused by Young's beating and shaking, according to prosecutors.